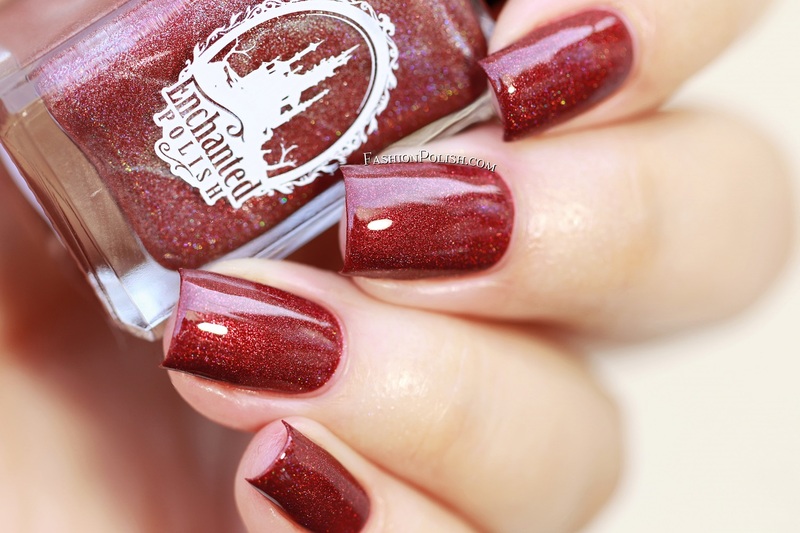 Fashion Polish: Enchanted Polish Fall 2017 collection swatches & review! 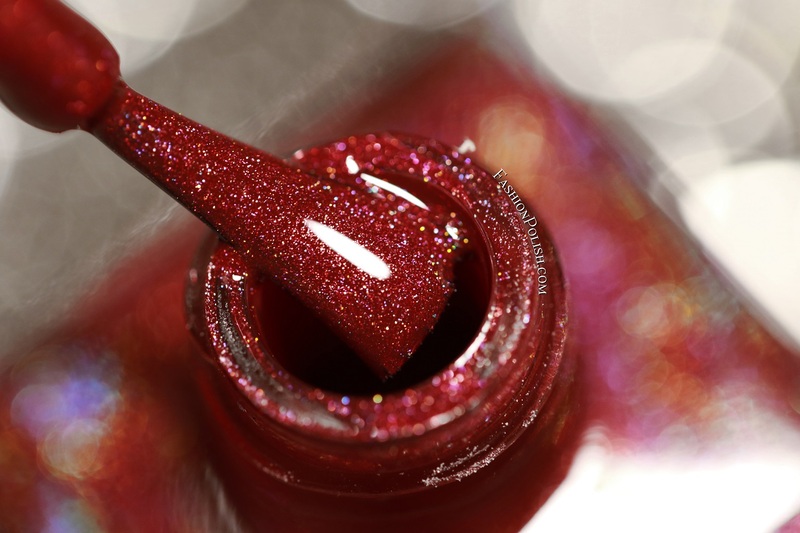 I don't know about you but Fall is one of my favorite seasons polish-wise. 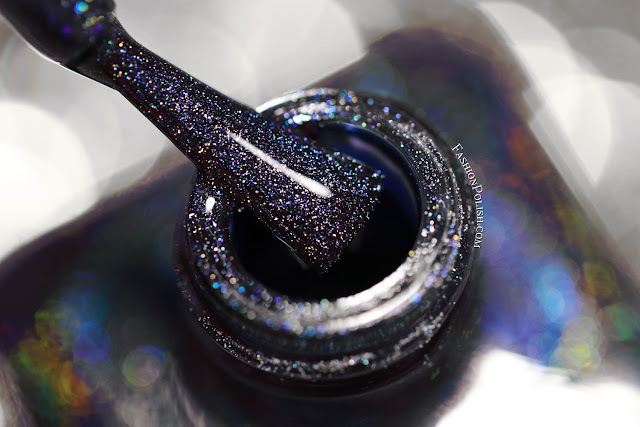 I'm particularly excited to discover what my favorite nail brands will be releasing every year so if you feel the same, I have just the thing for you : the latest Enchanted Polish Fall collection! 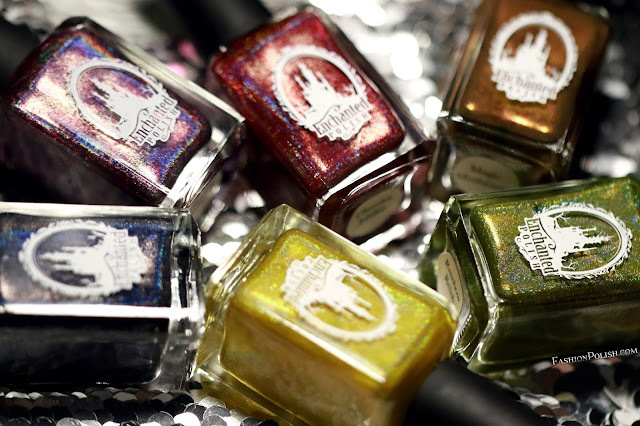 The Fall collection consists of six new shades : five holos and a color-shifting shimmer. Formula was a pleasure to work with and they were all easy 2-coaters. 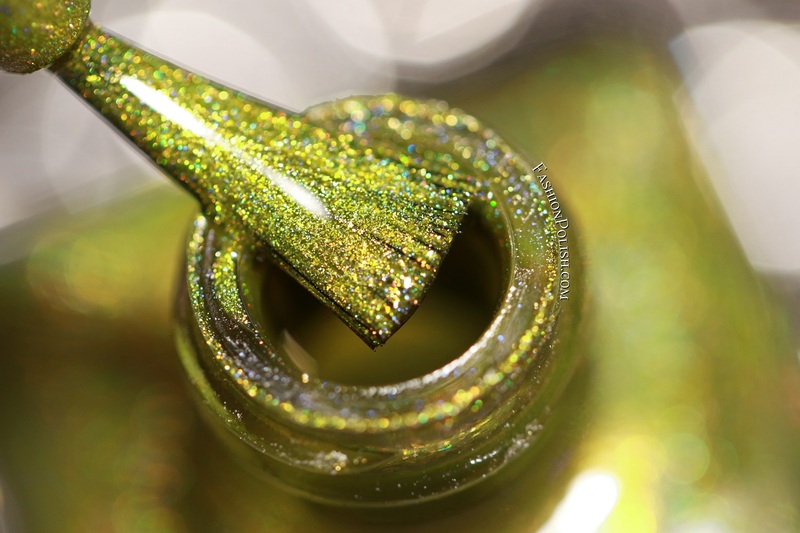 Sunflower Power is a bright green-hued yellow linear holo. 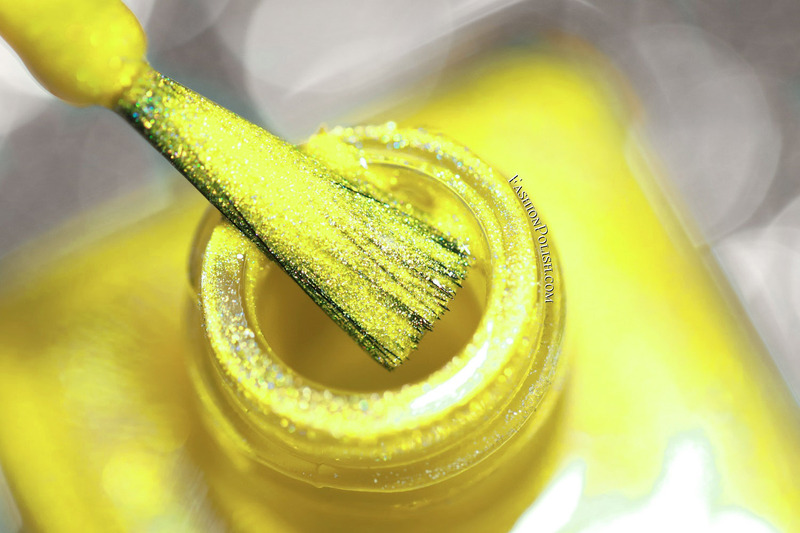 It's a bold color that varies between gold-yellow and chartreuse-yellow depending on lighting conditions. 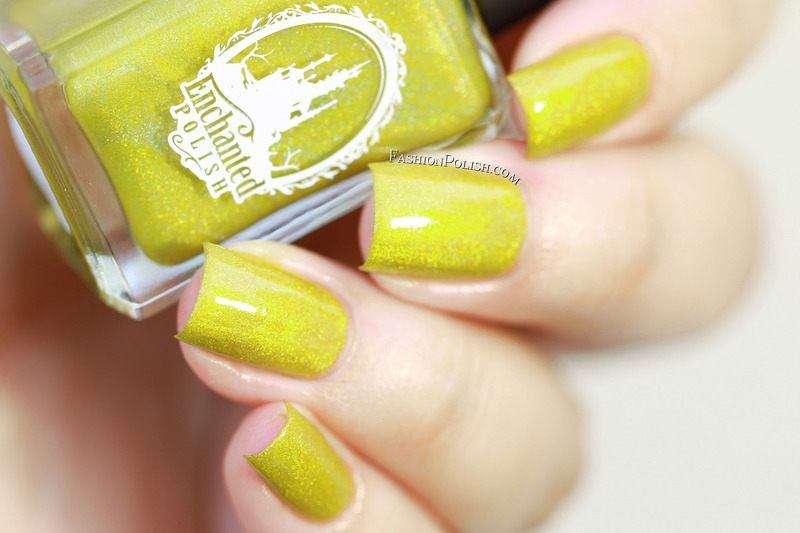 Rainbow Relish is a yellow-based green linear holo. I really like this type on greens on myself as opposed to grass or spring greens. Magic Mushroom is a murky brown base filled with magenta to green colo-shifting shimmer. I wasn't entirely sure about this one at fist but I have to say that it too me b surprise and totally grew on me once applied. 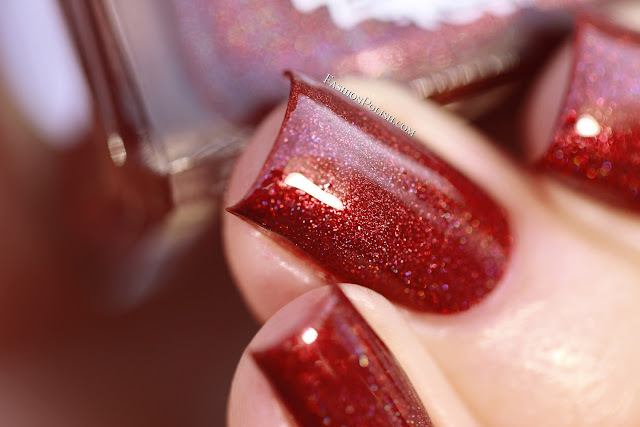 Cherries Jubilee is a deep red holo. I love vampy shades and Chelsea definitely nailed this one! 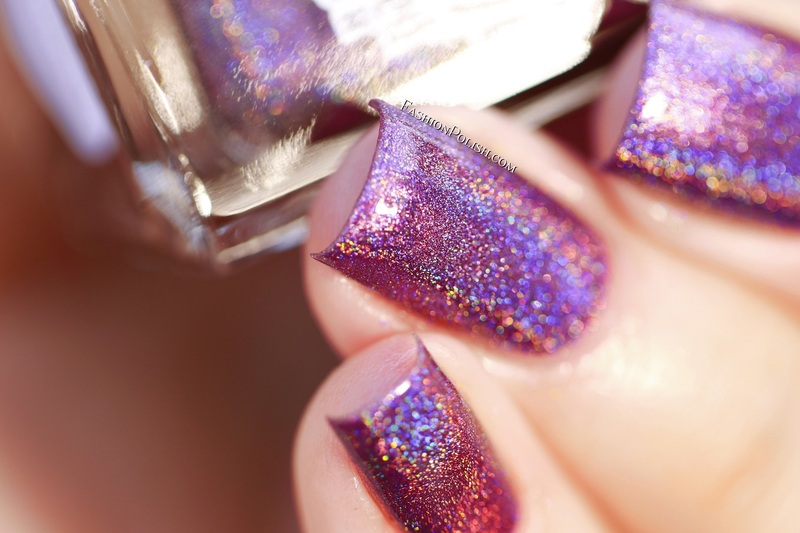 I particularly loooove how glossy and multi-dimensional it looks. 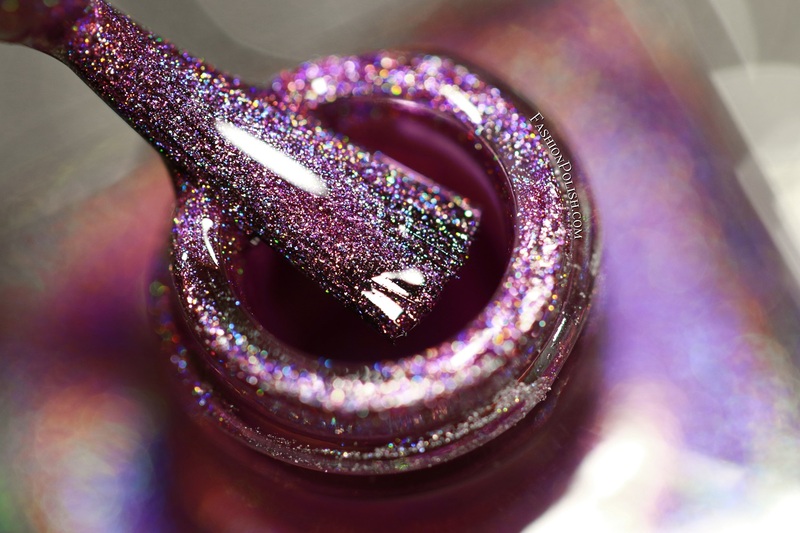 Crushed Velvet is a medium purple with a strong linear holo. 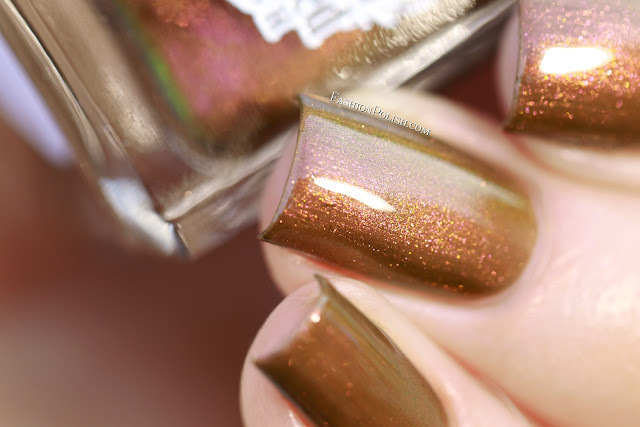 I'm not sure I'm entirely color-accurate here because this polish seemed to change depending on lighting : more silver in the sun or under direct lighting and somewhat warmer in the shade. Twinkle Twinkle is a midnight blue linear holo. 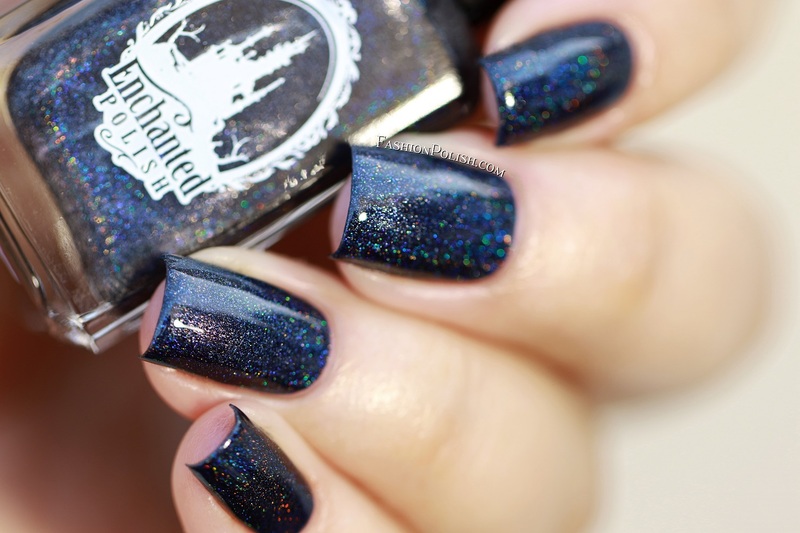 I love how dark it looks without falling in the blackened blue category. 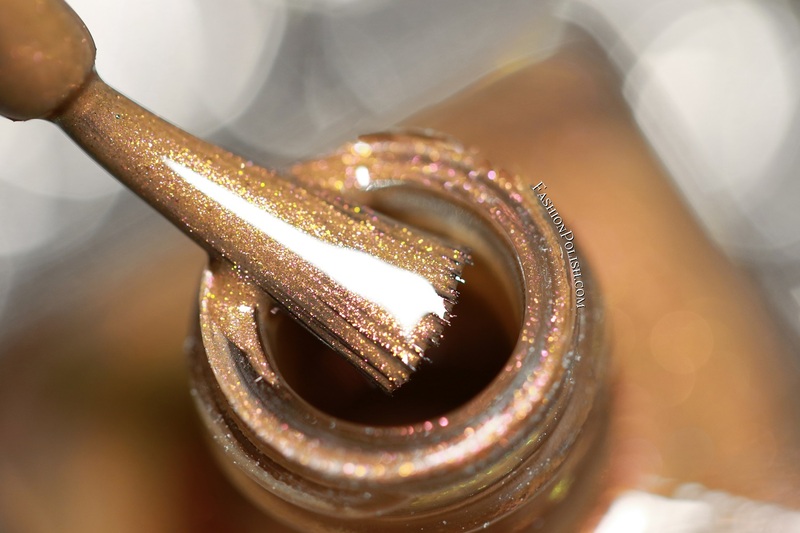 The added shimmers are also a huge plus for that extra sparkle. 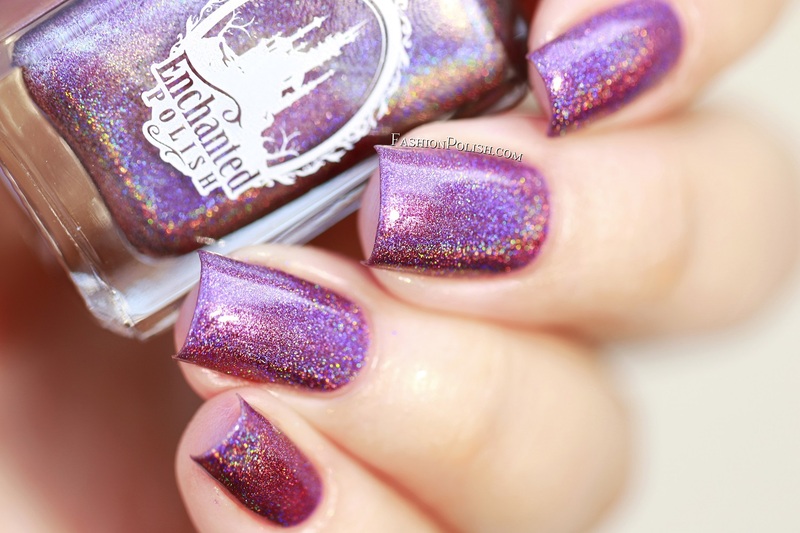 The Enchanted Polish Fall 2017 collection is launching tomorrow August 31st at at 10AM PDT on enchantedpolish.com. Don't forget to set your alarms as this launch is not a preorder.